How to create an FAQ page that will generate more leads? It all began with a home where I grew up, a home that witnessed plenty of laughter and mischievousness. Since I am the youngest child in our family, I was always pampered and looked after. Like every good parent, my mother played a huge role during my formative years. She was always there whenever I needed guidance, and this one advice from my mother left a long-lasting impression on my life. As a kid, I never understood this because when you are young and inexperienced, your tendency to rebel is on the higher side. Anyway, as I crossed my teens into a phase where people are looking to make a mark for themselves, I found my mum’s words resonating with me. Because being a social animal, you need people around you to help you succeed in whatever you’re trying to achieve. Imagine this. You want to buy a leather jacket for your next winter vacation. Whom will you consult? A friend who frequently travels around the world or your neighbor who rarely leaves his home. Well, unless you have no friends in the world or your neighbor is extremely attractive, you won’t bother asking your neighbor for sure. Do you get that? It is not that you don’t trust your neighbor or anything; it is just that someone who’s a frequent traveler can guide you a lot better based-upon his personal experiences while traveling across the globe. Whether you have a world-class product, or you are a promising start-up that is willing to get filthy rich, there will be some customers, who will ask repetitive questions from you. To make those customers stop, you can provide them with a link of Frequently Asked Questions (FAQ). A detailed FAQ page will help the company save some of the significant resources and give the customer a reason to buy. An excellent way to answer all the queries of the customers is to use blogs, contact us page and customer support. However, to answer all the questions by the customer’s FAQ is the most authentic way. Save customer’s time by giving them all the answers at one place. Skip the step where customer needs to contact you for everything. Display a professional attitude of a company towards its customers. Customers will be able to trust you as a brand. When customers ask a specific question from Google, your page can appear. Gives you an opportunity to create internal links from the website. Now for the challenging question. How to create a useful FAQ page? How to create an FAQ page? An FAQ page will give you an opportunity to explain what makes your website unique. Therefore, a right FAQ page is all about teaching the core of your product or even the lesser known products in a full understandable format. It will be like creating an About us page but with more details. Being a digital marketer, I checked hundreds of FAQ pages each day. I am curious about what are those elements in an FAQ page that grab the attention of the users and engage the users enough so that they are not left with any other option than buying from the brand. The best FAQ pages are not random luck. There is a well-thought strategy behind it. Professional design agencies take some time and identify the most common issues, problems, and even read between the lines to know the core concerns of potential customers. A straightforward way to do this is to talk with your current customers and even those who visited your website but left on the checkout page. When you talk to these customers, who’ll know the intent of the customer and the potential customer, this will help you craft a perfect FAQ page for your users. Once you have all the questions that customers are asking, it is your responsibility to answer all of these questions in detail. 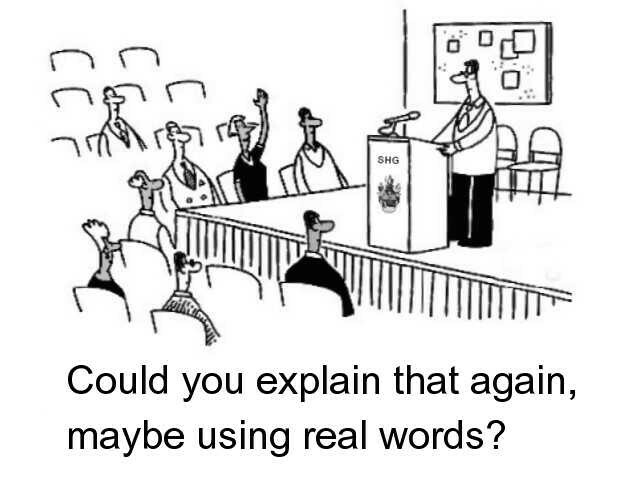 It is important to know that experts say there is no need to add anything extra while answering the question. If there is a link to the product or a service page give it and let the customer take care of the rest. 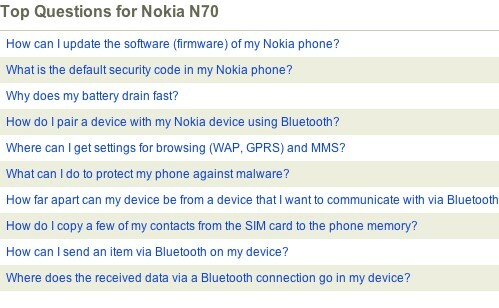 The best FAQ pages are organized logically. As a result, visitors can skim the page and get all the necessary in a single glance. 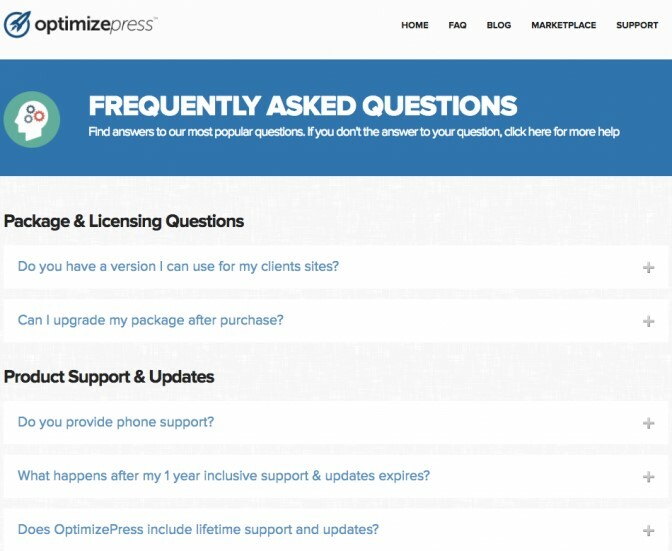 If you create a long FAQ page, it will be easy for you to cover multiple topics on the single page. Each question can be broken down into smaller categories so that it gets easy for the customers to find what they are looking for. Similar problems can be stacked together in a group which can help users understand what they are looking for. Most of the website owners make this mistake of hiding the FAQ page deep down the page. The key reason is that owners treat the FAQ page as a help page where customers can come and resolve their issues. For example, if the customer is facing a pricing issue, they can directly go to the pricing FAQ section and get their problem resolved. Here the visitors don’t need to move around a lot and fig deep where they can find help. The FAQ page can be handy to educate customers on the pricing strategy and anything related to pricing. 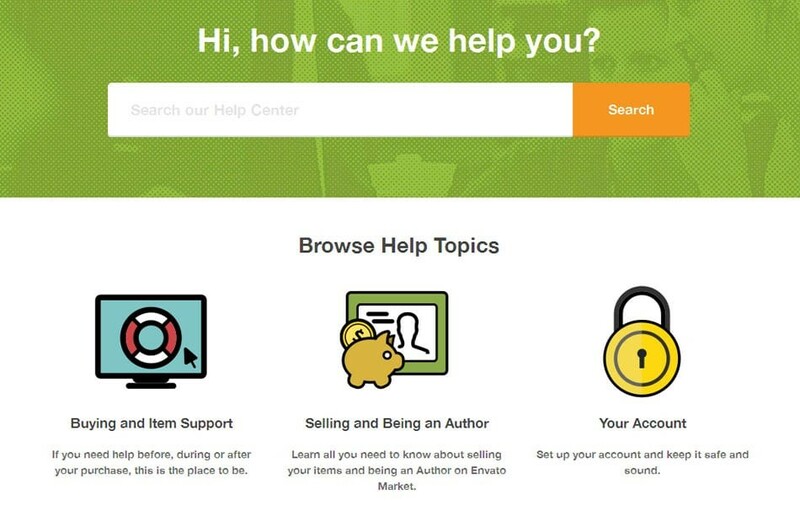 To connect with customers is the real purpose of creating an FAQ page. When the sound of the page is in a conversational format, it will be easy for customers to understand the query and make it more meaningful. Your aim must be to write an FAQ page that can resonate with the potential customer. A conversational tone can also include slang language. This will give the customer a sense of closeness with the brand. Notice that the best FAQ pages are enjoyable to read and the answers feel like you are making a conversation with the customer. 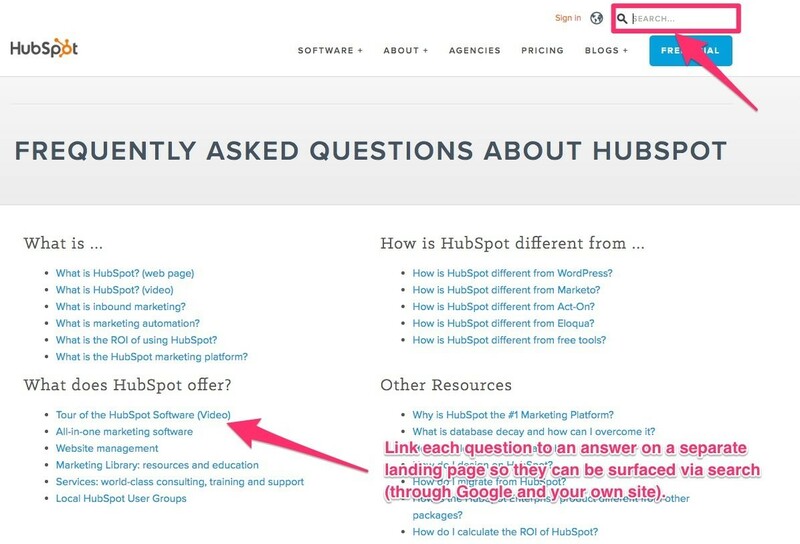 The most engaging FAQ pages are those who use landing page and product page links within their answers. While answering questions in your eCommerce website’s FAQ page, you can provide links to landing and product pages of your website. If you create individual landing pages for common FAQs, Google will link your site to relevant Google searches. A CTA is an essential way of stimulating its activities even though it is not entirely necessary for your customers. For instance, a visible button can also be used to encourage them to’ Buy Now,” Get Starter,’ or’ Contact Us Today,’ at the top of the page to act when their questions are answered. In the answers to the questions, you can also create calls for action. A FAQ page on an eCommerce website provides potential customers with the information they need to make decisions on their products and services. 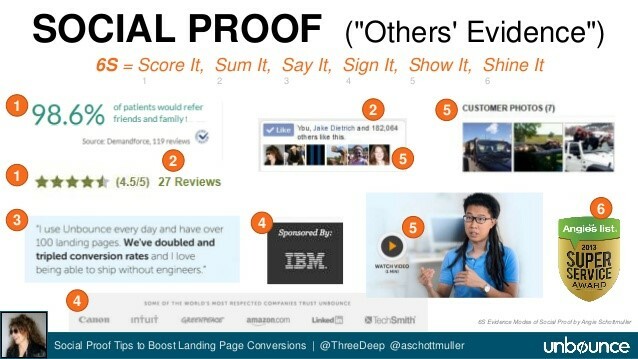 It can be useful to add social proof to the FAQ page to build confidence. Social evidence includes such things as customer satisfaction testimonials, customer logos, and security services information on your payment services. This information can ensure that your company can provide the products and services it needs securely and effectively. Add your company contact information in the FAQ page. This not only allows customers to contact and to answer their unique question but also increases their trust in the company. It is even better to give visitors several ways to reach you, such as an email, social media profiles, fax, and telephone number. It is key to keeping your customer focused on a great website or FAQ site. Just like your products and services, you need to build your website around your customers and solve your challenges. You will always do a successful business if you keep customers in the middle. Think like a customer. How can you serve the customer? How can your business help this customer with its problem? If you can answer this question, it will give your business an edge over your competitors. You cannot hope that the customer will pick-and-choose your website just because you want them to. It would help if you worked hard on understanding customer intent and resolving their core life issues. Are you looking for an award-worthy website? Let’s build it! Is FAQ page that important? Did you follow all the above tips? Start to find out whether you need a FAQ page. Then find out about the questions customers often ask. Then, go through the size, the places and the funnel that will take people elsewhere. The best FAQ pages don’t let the customers leave without taking any action. Many companies place their FAQs at the bottom of their website, which makes it hard for your customers to locate. When you can not find your FAQ page for the audience, you can’t find the answers from your website that you want to sell. Because the FAQ page is also a great way to classify your business in search engines, you need to use long-term keywords and questions in real time to draw qualified guidance. This will not only help Google to find your content but will also make you a leader in your industry. This new level of confidence will help your audience to purchase and achieve your sales goals! For companies in nearly every industry, FAQ pages are helpful. Consider what issues your target audience may have about your products or services, what information they might need and what decisions they might have to make before making a purchase. When building a FAQ page of your own, including all of this information. © 2019 Branex - International. All Rights Reserved, Branex.